North end of Town of Palm Beach Island just outside the breaking waves on the beach. THOUSANDS OF SHARKS!!!! 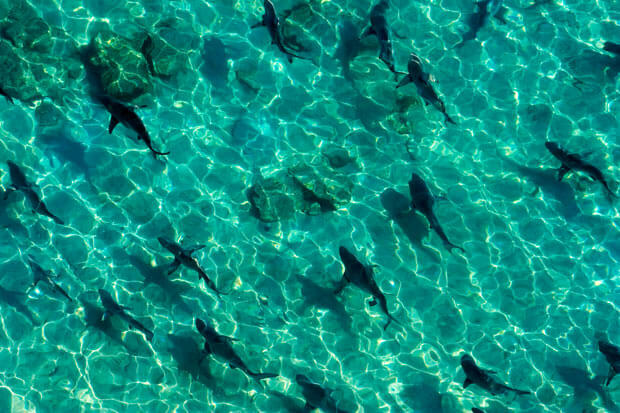 Blacktip sharks are responsible for the most shark bites in Florida, although bites are rare.